The winter months can be cold and bitter (especially if you're single), so why not cozy up to the Butterfly. 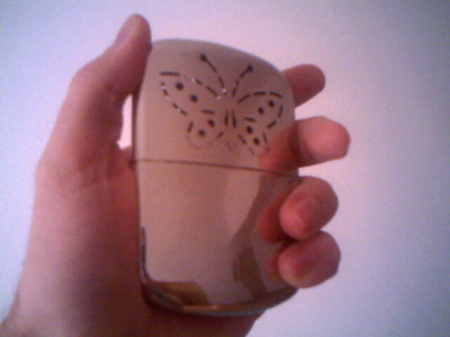 Its an environmentally-friendly personal heater that emits heat through its butterfly pattern when evaporated lighter fluid and oxygen react with the heater's glass fiber. Its portable and even safe enough to keep in your pocket, potentially warming more than just your hands. Personally, we'd rather take our chances with these, but the Butterfly can be yours for $17 bucks.